We’ve been providing drain unclogging and repair services to Thousand Oaks homes for years now. 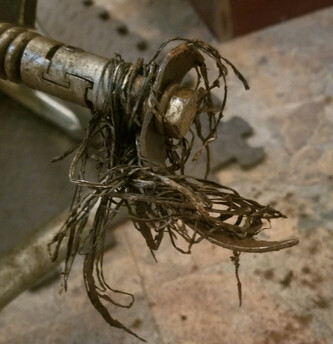 Through that time, we’ve found a number of home owners are introducing certain items into their drain/pipe systems – items that dramatically reduce the life span of their system by introducing undue wear and drain blockage. Today, we’d like to quickly discuss 7 different items that you might be introducing to your plumbing, why they are dangerous to your system, and how to avoid the damage that they introduce. To avoid this, dispose of dental floss in a trashcan. Unfortunately, because it is string-like, there is no safe way to dispose of it in your sink. Flushable WipesOne of the most common things causing toilet/pipe clogs is flushable wipes. Because of their role of replacing toilet paper, it naturally fits that you would flush them. Additionally, many toilet wipe brands are marketed as ‘flushable’ – this leads to a general idea that they can and should be flushed. In most cases, these wipes do not break down in your plumbing system. Like with dental floss, they serve as an unbreakable barrier that prevents anything from passing. You should dispose of wipes in the trash, regardless of their ‘flushability’ advertised on the package. Grease WasteIn our Thanksgiving blog post, we discussed the dangers of food waste to your system. More specifically, food waste high in grease or fat (bacon, meat, etc). A common place people think it’s safe to dispose of food is the kitchen sink and their garbage disposal – with greasy food, neither place is safe. Some people may even flush their waste in the toilet, but this causes the same problem as any other location. ​​ Greasy food can cause blockages if the grease/fat accumulates into one spot, but it can also introduce narrow orifices that simply slow down flow through your pipage (making it harder to detect). The safe way to dispose of grease waste is by using the trashcan. 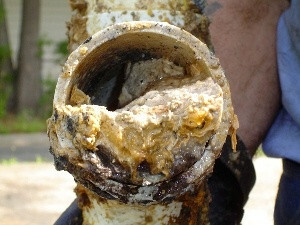 Starchy FoodSimilarly to grease waste, starchy food introduces a surprising problem to your houses plumbing. When combined with water, food high in starch (potatoes, pasta, etc) forms a thick paste that could block your pipes in the same way as grease. Dispose of starch-rich food in your trashcan. Coffee GroundsCoffee grounds do the most amount of damage when combined with other drain blockages, like grease or starch clogs. The coffee grounds can stick to grease/starch residue and introduce thicker barriers, or compress full blockages. As with the other waste we’ve discussed, it’s best to dispose of coffee grounds in your trashcan. Cotton SwabsAs with dental floss, cotton swabs are something used in a context that results in them being flushed/drained into your plumbing system (mainly from the toilet). The cotton can act in the same was a floss, with the additional problem of the ‘stick’ being a more solid barrier to clog your pipes. Cotton swabs should be disposed of in the trash. Tree Roots All of the items we’ve discussed so far are things you may be disposing of incorrectly (and thus damaging your system). Tree roots, on the other hand, are environmental factors (specifically tree roots) are the biggest problem. They can enter a pipe through a compromised area – growing throughout the pipe and getting stronger as time passes. Even if they are removed, it’s likely they will start to return to the system again. Avoid tree root clogs by having your plumber looking for weak points in your piping and/or clearing any unnecessary root systems near your pipes. Unfortunately, due to the nature of many people’s homes, this isn’t always avoidable.